SendPulse is an integrated marketing app for people with complex communication needs. It offers various services like sending bulk emails, bulk SMS messages and web push notifications on the same platform. You can use combination of those 3 channels in your communication campaign. Then you can contact your subscribers through email, those who did not respond to email or do not check mailbox frequently can be reached by web push or SMS. Sometimes it happens automatically and provides great results. SendPulse provides an event-based email marketing service that allows sending emails, sms and push notifications based on user actions. This feature is available in Automation 360. SendPulse has integrations with third party services like WordPress, Drupal, Joomla, WooCommerce, Shopify, Magento etc. Web push notification services are totally free. If you have fewer than 2,500 subscribers, you can send up to 15,000 newsletters per month for free. 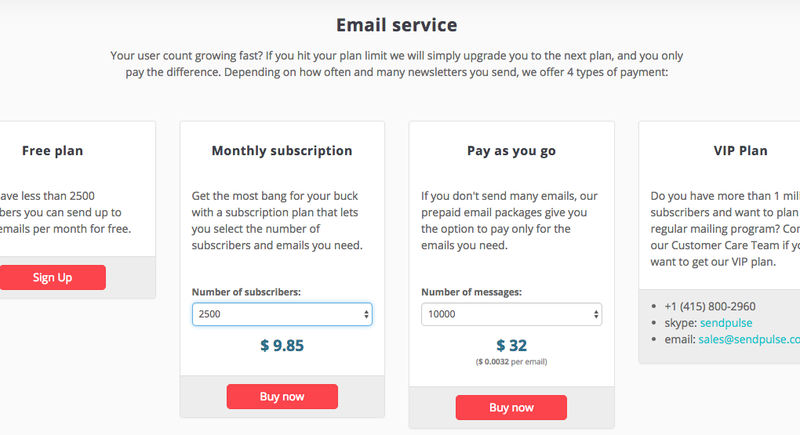 You will need to pay when your subscribers list exceeds 2,500 subscribers. You can also test the SMTP service with the first 12,000 emails absolutely for free. SendPulse is recognized as one of the best startups of 2016 by The Next Web. It is an easy set up and free to start unlike other apps like MailChimp which are expensive and confusing. Just create an account on SendPulse and tell it what you want and expect from it and it will guide you. For instance, you want to send an email newsletter. So, for that first sign up on SendPulse and tell it that you want to use it for sending newsletter. For that first of all upload your contact list which is an easy task and then label each column. You can add new variables for segmentation, or just do a data dump. (If you’re on a paid account, SendPulse will automatically take care of this part for you.) From there, you can create your first email newsletter. Segmentation means dividing your customer in different groups according to your needs. For example – based on gender, based on residence, and on subscription details date, etc. A special feature that makes SendPulse different from other apps is that automation and split testing also known as A/B testing powers in SendPulse are visible throughout the creation of the newsletter, so it becomes easy to test a multitude of different headlines and see what works and what doesn’t. 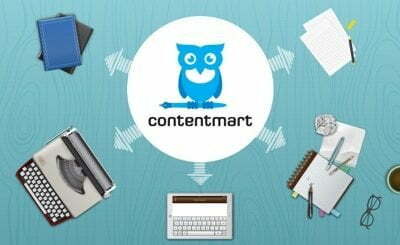 A/B testing allows you to adjust the content of the newsletter using variables and produce the result as you expected. You can also set up different headlines. SendPulse also integrate your email list with the rest of your digital communications. One of the most useful features of the SendPulse is that it lets you store your contacts list in one place instead of having it in multiple different apps. There is a single source of truth in SendPulse. It makes SendPulse different from other apps like MailChimp. SendPulse always delivers emails, SMS messages and web push notifications to your customers so you need not worry about the delivery of your campaigns. If you’re in an organization that needs complex communication, SendPulse is the ideal app for you. Another feature of SendPulse is that it personalizes your emails. In your campaign you can add personal details directed towards a particular recipient in each email. This feature allows you to address the recipient by name and titles e.g. Mr./Mrs. You can personalize the e-mail subject, as well as any part of the e-mail body. Multiple details can be added in different bodies using this feature. And at last but not the least, SendPulse provides its services at, at least, 50% cheaper rates than other services. As there are very few limitations on features of SendPulse so it allows you to test most of its features for free. If you have more than 1 million subscribers , so personally you have to contact the team and they will give you special support and plan. It’s really simple to setup your new account on SendPulse . just you need to click on ‘signup’ and then it will ask you little bit personal informations and then after you will receive a code on mail and verify it from your login dashboard . So, after this process ! Finally successfully registered . Beautiful UI here you will see (blue & green) which will attract you , it’s user interface all the features are easy to use just simply you need to click and follow instructions . within few steps you can create and run your successful campaign . Here on Dashboard it will show you complete result and analytics , how many emails you have sent and so many things which will clear your all doubts. good informative. 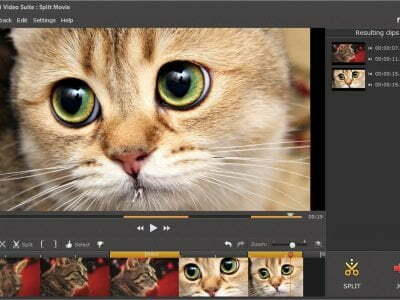 thanks for sharing..
previous post: Should You Use Video on Your Blog?